Susan and Scott left Union Station in Worcester on Thursday afternoon. Matt and I left Friday morning and flew over their heads as they were passing through Indiana. 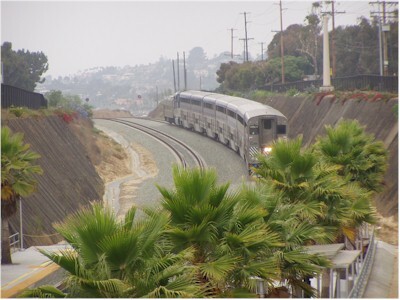 We had two nice days of peace and quiet before their arrival on this train into the Solana Beach station on Sunday morning!